Welcome Dr. Oz viewers! You may have been directed here from my amazing boss, Dr. Oz. Welcome to the site!! I hope you stop by every Monday from here on out! As you now know, I am a producer for The Dr. Oz Show. Over the past 8 years, I worked on topics for Dr. Oz ranging from nutrition to diet to mental health and wellness every day. Personally, I related heavily to the diet and nutrition guides we were bringing to our viewers. You see, I am a lifelong dieter. I can confidently say I’ve started 1,664 Monday Diets. Losing weight is ALWAYS on my mind. Food is always on my mind. I’ve always believed in the fairy tale of weight loss; that my problems will melt away with the pounds. Because of this, my weight has always fluctuated. This personal blog is a place where I discuss the reality of being a woman in a world where we constantly wage war against our bodies. The “Monday Dieter” represents the emotional component to dieting. If losing weight was as easy as eating healthy, eating less and moving more, we’d all be at our goal weight, we’d never need to start a Monday Diet. It’s NOT though. There is an emotional component to dieting and we need to bring awareness to that. Many of us, myself included, are emotional eaters. We soothe ourselves with food, so when emotions hit us mid-week, we fall off our diets. When you understand yourself emotionally, you can better understand your relationship with the Monday Diet. Monday Dieter was created to encourage all women to open up, support each other, and share the struggles of being a lifelong dieter. Every Monday I post to give you inspiration to have the best week possible. I post to help you better understand the emotional component of eating. And if weight loss is your goal, I post to help you too. 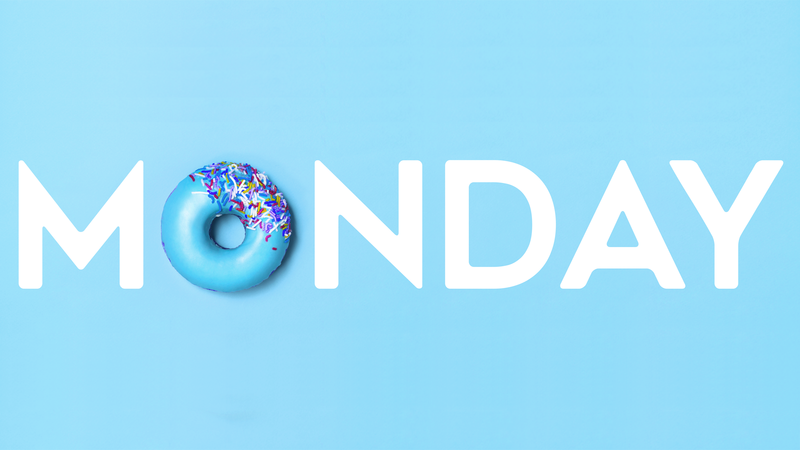 There never will be the perfect Monday to start a diet. But there will always be Monday. It’s ok to start a diet every Monday, but it’s not ok to hate yourself if you fail. Now, let’s talk about THIS Monday. As my uncle reminded me yesterday, It’s the perfect day to start fresh and organize your life. It’s Monday AND it’s May 1st. A doubleheader when it comes to feeling like you need a clean slate. BUT before you get started the first thing we all must do is forgive ourselves. As the weather warms and summer slips closer it reminds us we’ve failed to lose the weight we wanted to. Looking back to New Years Day, when we were sure we’d lose weight this year, we feel disappointed with ourselves that we weigh the same thing we weighed on New Year’s Day. Now it’s May 1 and we’re not happy, we feel panicked about summer sneaking up so soon. Worse, we pull out our Summer clothes from the bins under our beds and boxes high in our closets and realize nothing fits its devastating. Let’s numb that feeling of failure and instead ride the wave of hope. Hope thats its only May 1 which means we have ample time to get our mind and body in better shape before summer. And its best to start small, take baby steps. Don’t think too far ahead. Don’t start today needing to lose 50 pounds. Just start today, one meal at a time. One day at a time. If you put too much pressure on yourself, emotions will take over. If you’re looking for a one week plan, try this plan. Its a one week flat belly plan created exclusively for The Monday Dieter series on The Dr. Oz Show.